Some of life’s biggest hurdles call for moments of sincerity and control. Too often, we approach these high-pressure moments with fear, and execute with anxiety. 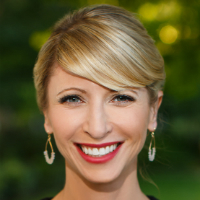 Based on her best-selling book Presence, Harvard Business School professor and social psychologist Amy Cuddy shares revolutionary research and personal narratives in this impassioned, engaging and innovative presentation. Explaining how nonverbal behavior and snap judgments influence people, Cuddy examines how leaders can use this cutting-edge science to prepare the brain for high-stakes situations, perform at their best and empower others to do the same. You will also learn simple techniques to complete inner transformation, harness the power of presence and perform at the highest levels of confidence.